Welcome to the 2019 Jazz Concert Series! 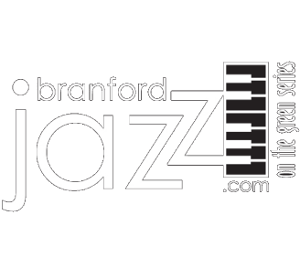 The mission of Branford Jazz-on-the-Green is to enrich, entertain, and educate the community by hosting a broad variety of live jazz performances. We pursue our mission through collaborative partnerships with local businesses and sponsors to enhance the quality of life for all. Tickets: $25.00 Includes exclusive pint glass and your first beer on us! Welcome to Branford Jazz on the Green! For many years the Branford Recreation Department provided free Sunday afternoon concerts on the Branford Town Green. Visitors could listen to everything from blues and country to big band and swing. Residents from the Community met with the board and suggested that the board could increase public interest by changing the musical focus to jazz and changing the event to a weeknight when more people are likely to attend and in turn, stimulate the local economy. The Board agreed and a committee was formed to guide the inaugural event that would begin in the summer of 2009. This year we have nine shows beginning Thursday, June 27 and ending on Thursday, August 29. All shows will begin at 6:30 pm. Directions to all the on-street and off-street parking for the Branford Jazz Series on the Green. Please strictly observe all NO PARKING signs, and only park in spaces that are not reserved for individual businesses. We want everyone to leave with a smile!